If you're anything like me, you love seeing the hilarious and inappropriately placed Elf On The Shelf pictures that come out this time of year and likely wonder what a horror themed film of such a nature may possibly look like. If that so happens to be the case, you're gonna want to keep looking because what we're about to go over is far from what anybody was hoping for. Typically what I like to do for films in which I didn't enjoy is to find and read reviews from other independent writers in order to see if I've missed something glaringly important or for an alternative viewpoint on the film as a whole. I usually have a fair amount of luck finding something of this nature but today my luck had run out. Each person who had seen this film shared the same concerns as I did and honestly, I'm not shocked at all. So with that said, let's get right into it. The Elf was written and directed by Justin Price and stars, Natassia Halabi as Victoria, Gabriel Miller as Nick and Lassiter Holmes as John. The list of stars seems low, but there's a reason I've kept it that way which we will get into shortly. The film follow the uncovering of a mysterious trunk which contains an old toymakers Elf doll and a sheet of names which are considered to be a naughty list. Once the supernatural evil is unleashed the holiday killing spree ensues. Upon first glance, I felt uneasy about the character of Victoria. Typically in horror, the blonde haired girl with the visible facial work done is typically known as the bimbo. Eye Candy for some but usually an easy kill whom is typically saved for midway through the presentation. In The Elf, she is well spoken, and shown to be caring and intelligent right from the get go which is truly refreshing to witness in the right circumstances, but something felt off about this. Following this, I quickly figured out what the issue was once the character of Nick appeared on screen. The lack of acting talent was practically thrown in my face and immediately made me cringe, regretting my decision to watch the film. As things progressed, a variety of different issues continued to arise such as bad editing which can be seen very early on when Victoria is having a conversation with a friend over the phone. The back and forth cut scenes for this are atrocious providing us with Victoria waiting on the phone for five seconds before answering her friends simple question. This made me believe that I could have provided a higher quality editing job which is saying a lot as my experience in such a thing is very, very limited. As things kept falling further and further apart you started to have issues with the sound levels being much too low, forcing me to crank up my televisions volume to near its maximal allowance. I will say that this issue does eventually get fixed but it's one again ruined by the background music levels being raised up to an almost equal sound level, distracting from and covering up a great portion of the dialogue. And speaking of dialogue, I don't know if it's due to changes made by the actors or the writer himself, I can't comment to harshly on it as I've not seen any of his prior works but in my opinion, it was piss poor. Most of the back and forth didn't make any sense, with the issue likely stemming from the aforementioned untrained actors we encounter. This is also a common factor we find in the storyline. As for an example, people are claiming that a massive snowstorm is heading their way yet the streets and skies are as clear as a summer day throughout practically every outdoor scene with the exception of a singular scene where a couple are trying to leave in a vehicle but it's covered in the unholy white stuff. Plain and simple, it didn't make a damn lick of sense. Also as I mentioned the lack of cast in the film. This was simply due to the fact that these are all the people you really need to know about. You have your two leads, one happen to be a decent actress from what we see, the second is piss poor and the third who plays John or Victoria’s father, has to be the most atrocious of them all. He was either too nervous to speak on camera or poorly instructed. No matter what the issue was, he should have been removed from the film within minutes of his first scene being filmed. Now, for those who know me and are familiar with my reviews, you’re well aware that I don't like to be a sour puss, so there is a light at the end of the tunnel folks. A silver lining is you will. That silver lining would in fact be The Elf himself. He is by far the best part of the entire film. He was creepy looking, the sounds he was making were sinister and demonic like and let's face facts here, who doesn’t enjoy going into a horror film to see their least favorite characters or actors succumbing to a horrifying death? The CGI for the dolls movements were a little lackluster but I just ignored that part and enjoyed what little of the film I could. In all, unless you're looking for an excuse to watch something bad, I suggest you stay the hell away from The Elf and move along to basically anything else you can think of, genre related or not! 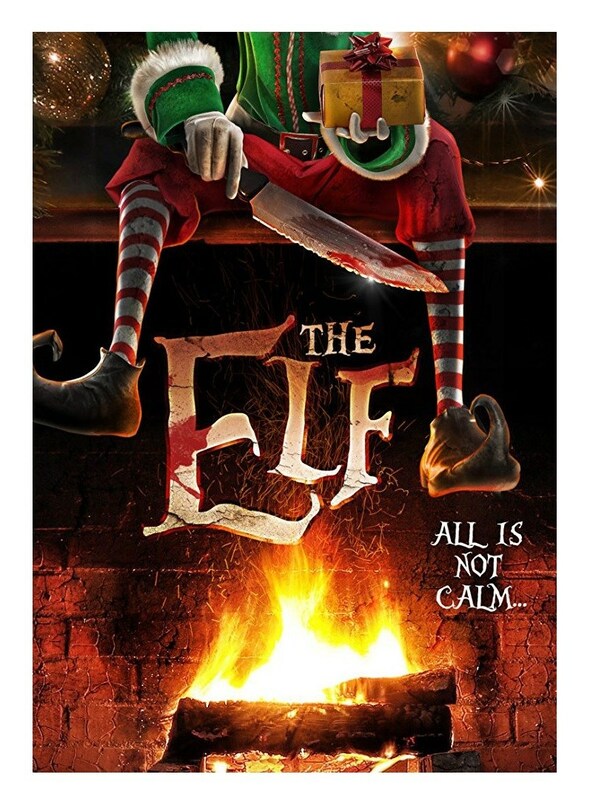 The Elf is Out now on VOD, Digital distribution and more.